Every Friday morning, starting January 21, 2011 join JFS Healthy Aging and JCCGB for an hour of wellness. 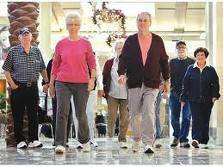 A JCC fitness instructor will lead you in stretching and walking exercises at the Natick Collection. Lace up your sneakers, and let’s walk!